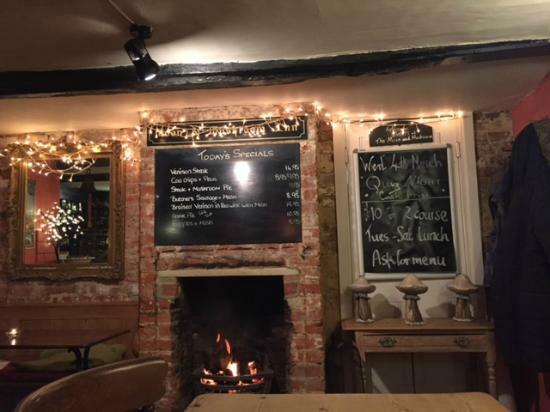 As the cold sets in, the wood burners and open fires flare to life bringing warmth and merriment to all who visit these cosy Suffolk pubs. At this wonderful wintery time of year, there is nothing better than crunching through leaves and over frozen ground through the stunning Suffolk countryside. Although always flat and open, Suffolk takes on a new persona in the winter, as the tree’s leaves fall away and a new landscape emerges. Maybe you’re an avid walker looking to warm your cockles or you’re just looking for somewhere to sit with a good book or a good friend and while away the hours in the warm. Let’s face it, there is no better way to warm your bones than next to a fire. 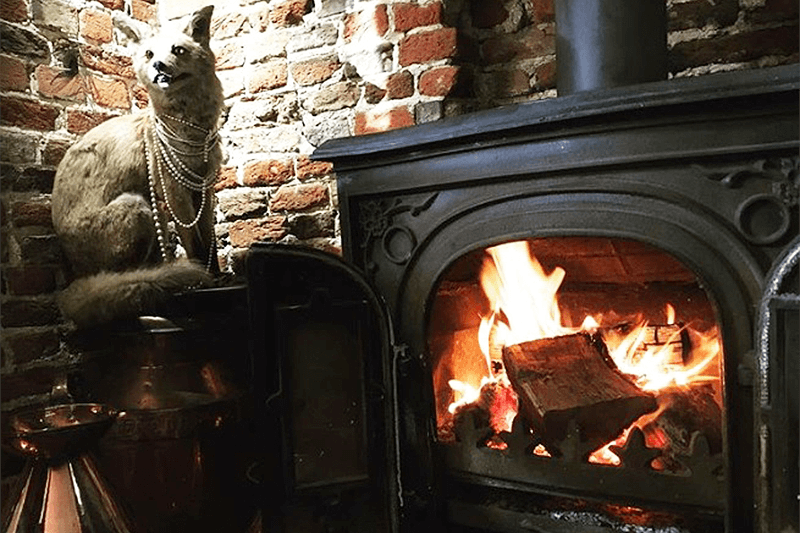 Here we have created a list of some of our favourite cosy Suffolk pubs with fireplaces just for you. To top it off, they are just around the corner from our accommodation here at Mollett’s Farm! 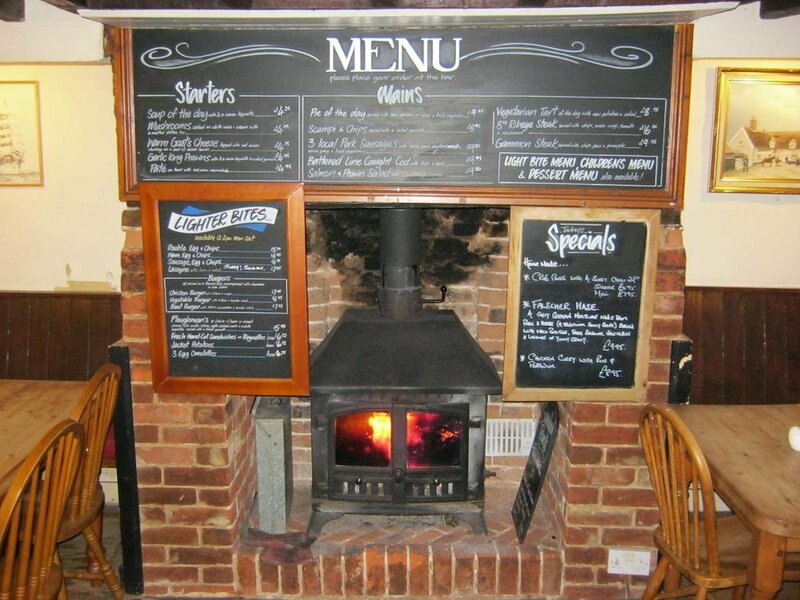 After a brisk winter’s day walk along the beach, the ship at Dunwich has a roaring open fire to thaw you out and their drinks selection is award-winning. This contemporary nautically-themed pub has a great seasonal menu showcasing the finest flavours of the Suffolk Heritige Coast, which – as you can imagine – is heavy on wonderfully fresh seafood. We can give you directions for some great coastal walks which will lead you right to The Ship, but the best news is it’s only a 20-minute drive from your doorstep here at Mollett’s Farm. 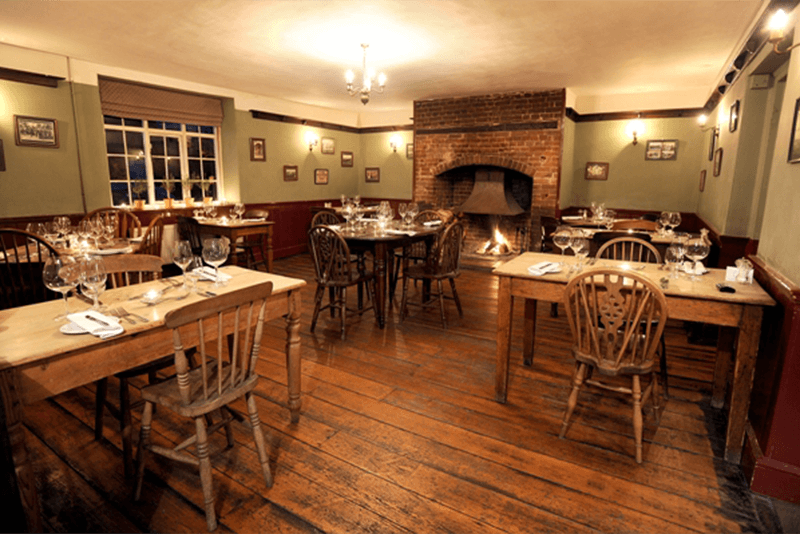 Alongside the Westleton Crown’s large crackling open fire you will find AA 2-rosette dining and an ample selection of beers, ciders and fine wines – making it the fanciest pub on our list. The Westleton Crown is less than an hour’s walk from The Ship at Dunwich, so why not make an afternoon of it? 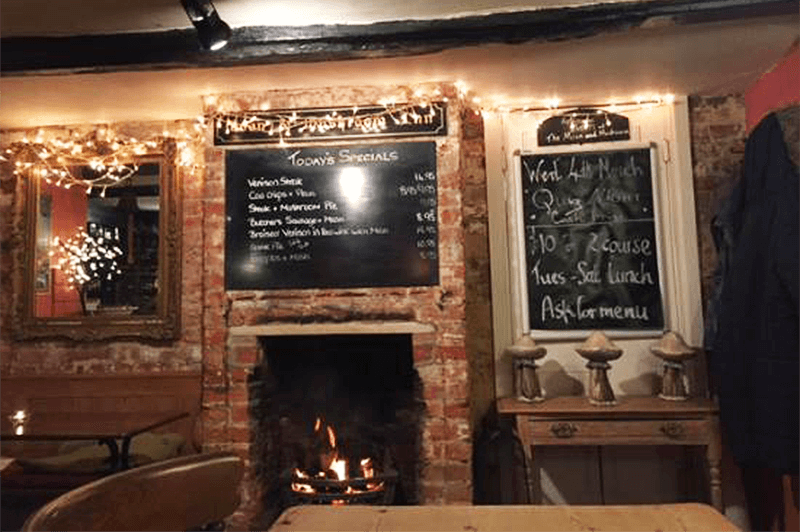 After a lie-in in one of our beautiful Granary Cottages or sumptuous Stable Studios, take a 15-minute drive to The Westleton Crown; then follow directions to Dunwich, whet your whistle at The Ship, and loop back to refuel and warm up in front of the fire back at the Crown. This walk encompasses parts of RSPB Minsmere, the lakes and the Suffolk Coastal Path – offering some of the most beautiful scenery in the area. At 200 years old, they simply don’t make pubs like this anymore. This authentic and charming Suffolk pub has no bar. Instead, drinks are served through the taproom door. They pride themselves on the local ingredients and produce used, and they also have an impressive selection of local beers and ales. 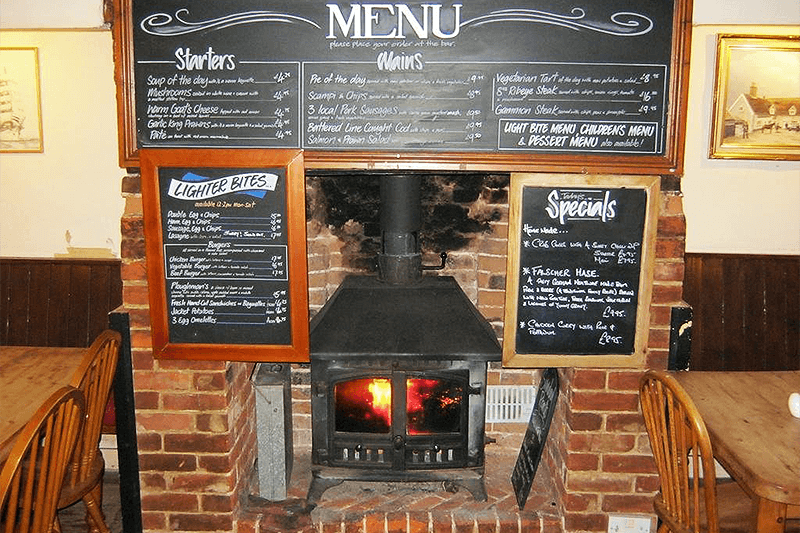 The Sweffling White Horse has two cosy fireplaces to choose from: a wood-fired range cooker in the lounge bar and a wood-burning stove in the cosy public lounge. On crisp, clear starry nights you might even want to wrap up and head out to their little fairy-light-filled beer garden for some stargazing, with your mulled wine in hand of course. Be sure to check their website as the opening hours are limited. The Fox Inn at Newbourne is one of those typical Suffolk pubs that is so pretty it could be straight off the front of an M&S shortbread tin! The 16th Century inn has a great reputation and a massive fireplace where you can warm your cockles and enjoy a nibble from their award-winning British menu, all washed down with a perfectly conditioned pint from one of Suffolk’s finest breweries: Adnams. The Newbourne Fox is the perfect place to sit by the fire and warm up after a visit to Woodbridge or the National Trust’s Sutton Hoo. If you would like to treat yourself after a long day of adventure in Suffolk you can’t get much better than the quirkily named Moon and Mushroom in Swiland. This is a ‘proper’ old fashioned pub, serving ‘proper’ pub grub with a contemporary twist. With delights such as Catalan fish stew or game suet pudding their generous portions will to fill you up and feed your soul. Add the ample cheerful fireplace to the friendly atmosphere of this pub and it’ll be last orders at the bar before you know it! Well known by locals for its high-quality open mic nights and music events (a well known Suffolk music-maestro also used to be a regular there!). 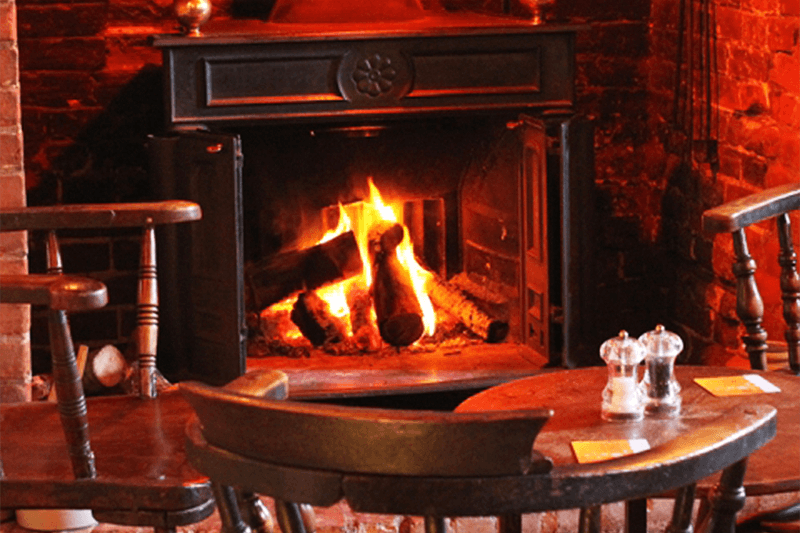 The Ship at Blaxhall has the cosy friendly feel our part of the world is famous for, thanks in part to its two open fireplaces and warm welcome; perfect for when the temperatures start to tumble. If you’re feeling energetic you can cycle to The Ship in 15 minutes or so, then replenish all those calories you’ve burned off with one of their fabulous pies and a pint of locally brewed real ale. 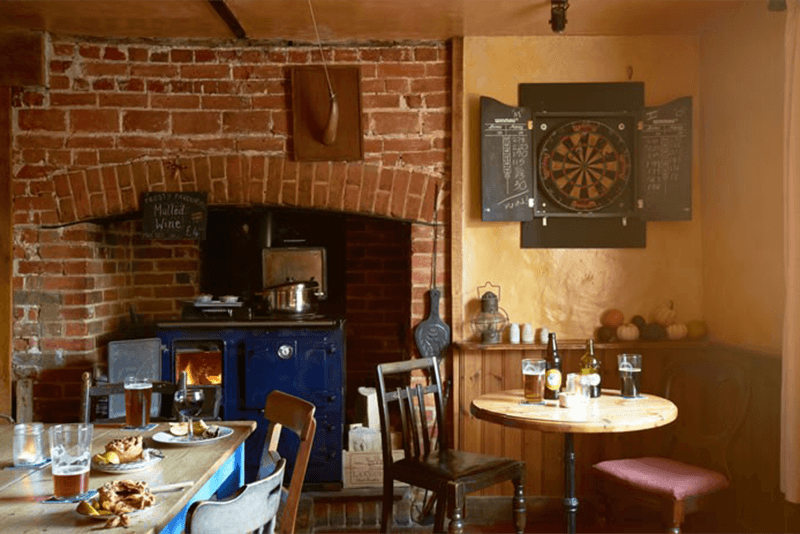 With so many cosy Suffolk pubs with roaring fireplaces to choose from, once settled it will be difficult to leave, so why not make a weekend of it? Our luxury self-catering accommodation is packed full of leaflets and magazines full of information and itineraries to inspire you. We would love to share our own favourite walks and drives with you, just ask. All you need to do is bring your scarf and an appetite for adventure! Don’t forget to check out the rest of our blog for even more Suffolk inspiration and winter warmers.